In conjunction with the 20th anniversary of Kompleks Sukan Negara Bukit Jalil (now known as KL Sports City) this month, we want you to experience running in the Best Stadium of The Year 2018! 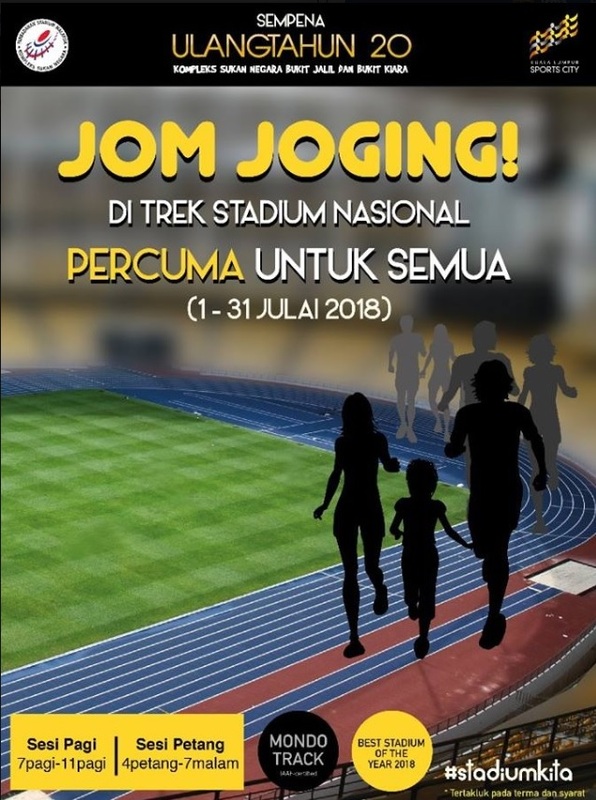 Our National Stadium will be opened throughout July* for all you 'kaki' running (or not so 'kaki' also can) to experience the International Association of Athletics Federations (IAAF)-certified Mondo track yourself! Bring along your friends and family - other than a healthier lifestyle, one or two Instagram-worthy photo in our very own prestigious stadium won't hurt, will it? The National Stadium track will be closed for public from 4-8 July 2018 for the Malaysian FA Cup Final 2018 preparation and match which will be happening this weekend. The track will be available for everyone to jog starting on 9 July 2018, 8am to 10am and 5pm to 7pm. 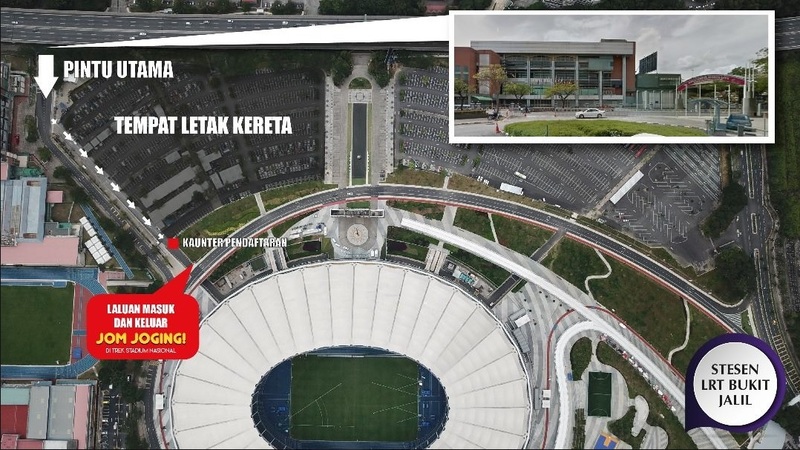 For those coming to jog in the National Stadium, kindly refer to the map. Nearest parking to the entrance: Parking C. Register yourself at the registration counter and you are free to jog on the track during the time given! All visitors are required to adhere to Rules and Regulations set by KL Sports City.